Please visit our new site!!! !! !Check out our new website for all the League and Club news!!! POSTED At LEFT!!! 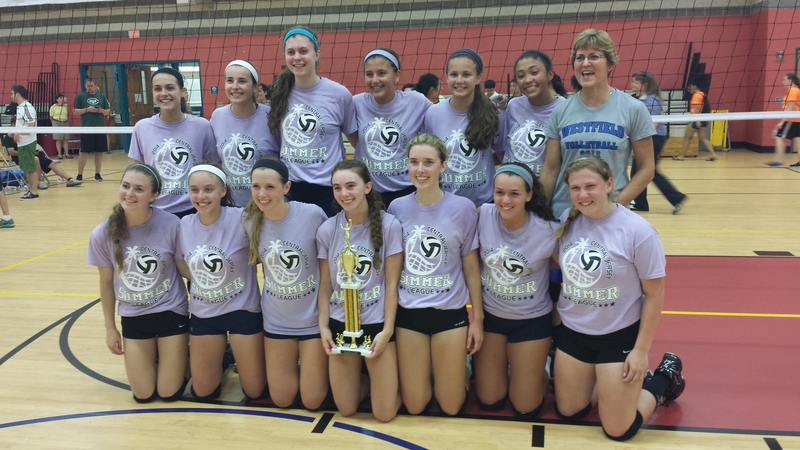 IMPACT VBC 2015 TRYOUT and CLUB INFORMATION!!! We will be returning to USAV and GEVA this season! OUR 2014 SUMMER LEAGUE CHAMPIONS!!! THANKS AND BEST WISHES TO ALL 22 TEAMS IN THE UPCOMING SEASON!!! INFORMATION FOR THE Middle School Fall League to be posted soon!!! Act quickly, as these leagues fill up fast!!! 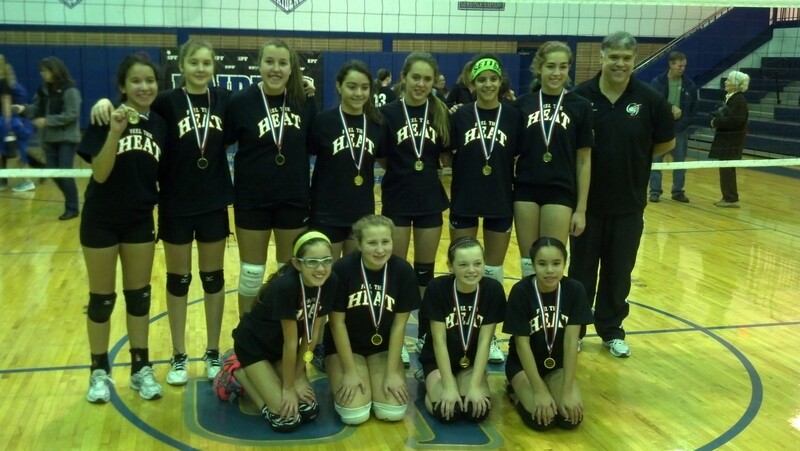 2013 IMPACT VBC MSVB CHAMPS: CJ HEAT!!! 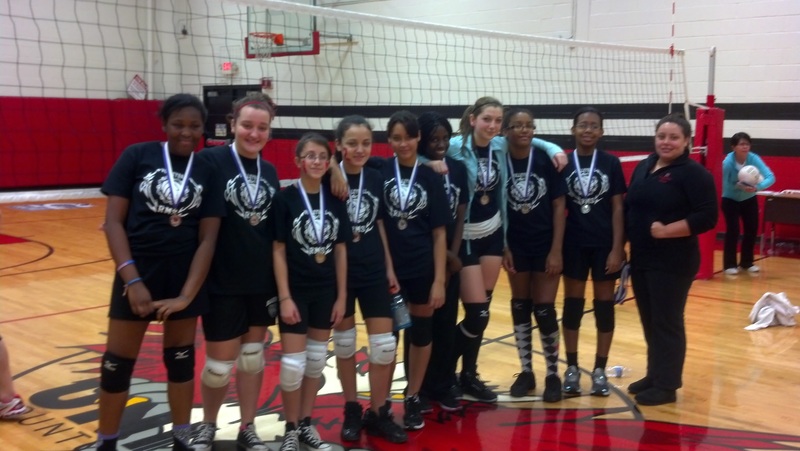 RAHWAY BLACK 2012 MSVB RUNNER-UP!!! CRUSH 2 WINS 2011 CENTRAL JERSEY MIDDLE SCHOOL LEAGUE!!! Congrats to all teams for a great season! Clinic/try-outs will be held on 12/3 and 12/10 from Noon - 3pm at the Rahway Recreation Center. Teams will be selected the following week (Dec 17th), and league play will commence on Thursdays, starting January 5th, 2012. ELIZABETH WINS GOLD, RC TAKES 2ND!!! 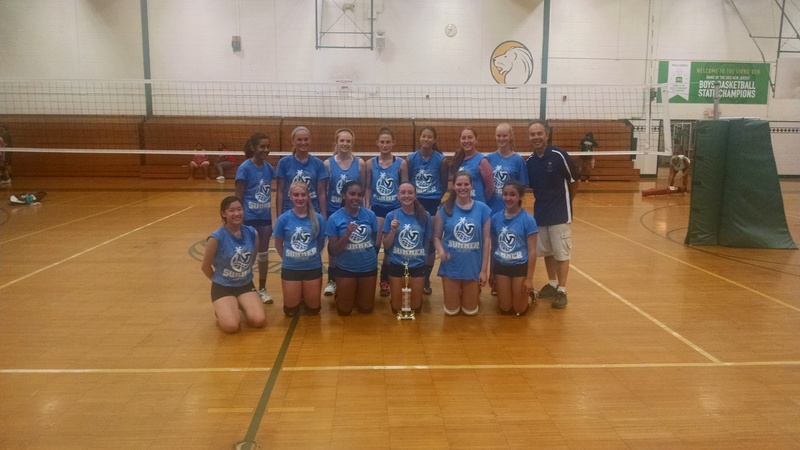 Congrats to Westfield Middle School VB Team for winning the championship of our first ever Middle School League!!! 2011 WINTER LEAGUE INFORMATION AVAILABLE!!! Clinic/try-outs will be held on 12/11 and 12/18 from Noon - 3pm at the Rahway Recreation Center. Clinician for 12/11: Elise Cooper, Head Coach of Montclair University!!! This year, in addition to the regular Winter League, we will be forming our own 2 CLUB TEAMS to compete in GEVA regional competitions! Details will be forthcoming!!! SUMMER LEAGUE 2010 PLAY-OFFS, WEDNESDAY, JULY 21st; GOLD DIVISION @ RAHWAY RECREATION, SILVER DIVISION @ RHS, and BRONZE DIVISION @ MSR. Summer League 2010 SOLD OUT!!! !We have reached our current maximum of 21 Teams!!! (the largest and best summer league in NJ.) Starts June 28th. Roselle Catholic Silver Division Champs! CONGRATULATIONS To Team 7 (Jason's Team) for coming out of the 5th seed to WIN the 2010 Winter League, over Team 2 (Maggie's Team), the first seed. Congrats to ALL TEAMS, and THANK YOU to our great staff of coaches and assistants, for making this 2010 Winter League a huge success! Bridgewater-Raritan claims 1st ever League Title!!! 2009 CJVB RUNNER_UP EAST SIDE! Best of luck and success to all teams in the upcoming season!!! 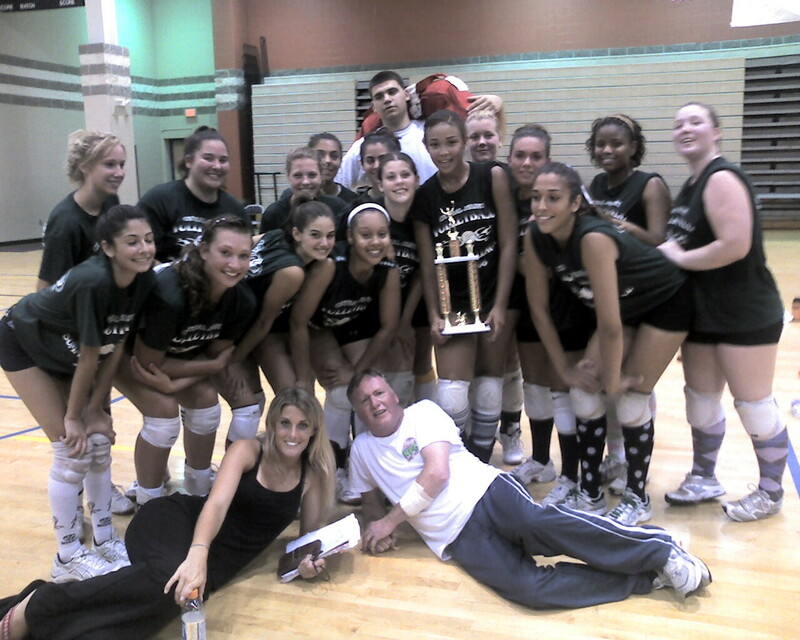 Once again, we offered an 8 week series of 2 hour volleyball clinics hosted by prominent NJ college and club coaches. The clinics were a huge success! THANK YOU to all the players and especially the coaches who made it happen!!! Mabel and Cytnhia's "Silver" team wins the Gold! They edged out Nicole's "Blue" Team in an exciting match. Congratulations to all the teams for a hugely successful Winter League!!! The 2009 Clinic/Try-outs were, once again, well attended and loaded with (101!) enthusiastic, quality players!!! The coaches have made their selections and will begin making phone calls to players this week. It was a very difficult task. Players who have been selected, and are interesting in playing, must show up at the Rec Center 5:30-6:00pm on Thursday, January 8th, for the first practice/games. 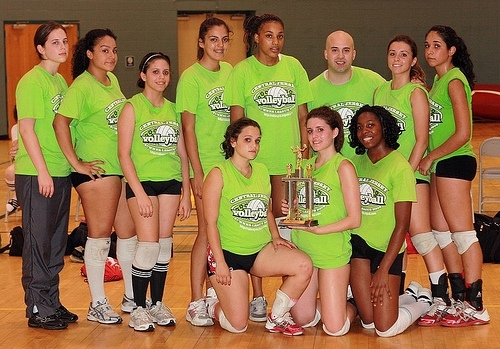 The total cost of the league is $50, and is payable (to Central Jersey Volleyball) on that date. The teams will be posted by the end of the week. and Sara Mankowski,Head Coach and Ron Szotak, Asst Coach UCC on 12/20. League play will begin on Thursday, January 8th, 6-9pm, and will run for 7 additional Thursdays. 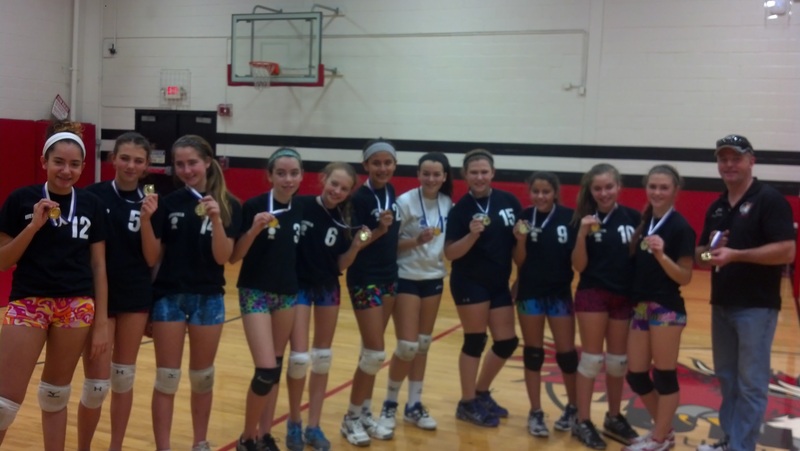 Plans are underway for another great Central Jersey Volleyball Winter League! Our numbers, as well as the quality of our players, have grown every year. Last year, we exceed our maximum at the try-out/clinics (107! ), and expect a record turn-out again this year. All registration will be done by mail, to keep it fair. Once the maximun # has been reached, the other applications will be returned. On-site registration will, most likely, not be available. Roselle Catholic Wins Gold Division for the 2nd Straight Year and Cranford is once again the runner-up! J.P. Stevens wins the Silver Division ! The 2008 Spring Clinics were another huge success! Thank you to the great group of players that attended, and particularly to the coaches that made it work! Namely: Bridget White(Kean) Gary Moore(Rutger's Newark), JJ O'Connell(Stevens), Wendy Bachaie(UCC), Rich Pickrell(AVVC), and Eric Headley (Delaware Valley Club)!!! 2008 Girls Winter League Results: Cecilia and Kristen's team come out of the 6th seed to win the League Playoffs. CONGRATULATIONS and a great job by all!!! Clinics/Try-outs on Friday, December 14th 6-9pm and Saturday, December 22nd, from 9am to noon. at the Rahway Recreation Center. Clinicians announced ! After the second week, the coaches will pick teams and invite those chosen back to play in an eight week league beginning on Thursday night, January 3rd, 2008, and continuing for 7 more weeks. Players will be notified by 12/26/07. All players selected must pay an additional $50, if they wish to participate in the 8 week league. There are no other costs involved! Last year 6 teams of 11 were chosen. 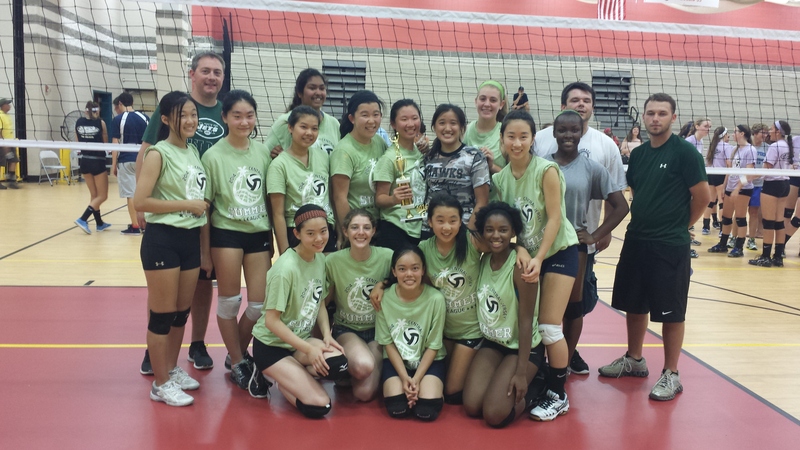 Congratulations to the staff and players of Roselle Catholic, as they came from the 4th seed to win the Central Jersey Volleyball Summer League Tournament! They had to battle through East Brunswick, Bayonne, and in a thrilling final they beat a terrific Cranford squad. 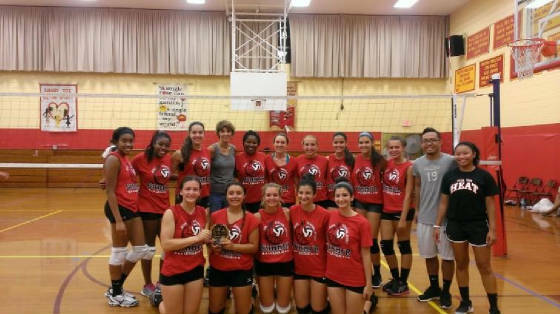 Mother Seton won the Silver division with a gritty victory over Bishop George Ahr. Best wishes to all 15 of our teams, as they prepare for the 2007 season! We hope that the summer play helped you to get a "head start" on your competition! Once again, we were pleased to host the largest girls summer league in NJ!!! Stay tuned for details regarding our Winter League an Spring Clinics for 2007-2008!!! THANK YOU TO ALL THE PLAYERS AND COACHES WHO MADE THE SPRING CLINICS 2007 a HUGE SUCCESS! Francisco Casado- Georgian Court- twice! SEE YOU ALL SOON!!! . . . . .
Click here for Maps and Directions to the sites. Thank you to the players and coaches who made the Spring Clinics of 2006 another success!!!! This year we were hosted by Bridget White (Kean), Ray Green (Manhattan & Cutshot), Mario Caruso (UCC), Eric Krics (AVVC), Rich Pickrell(AVVC), Chris Gamblin (AVVC and CENTRAL JERSEY VOLLEYBALL! ), and finally we welcomed Orlando Gonzales (Rutgers). CJV THANKS to all!!! Thank you for making this the biggest and best summer league in NJ!!! 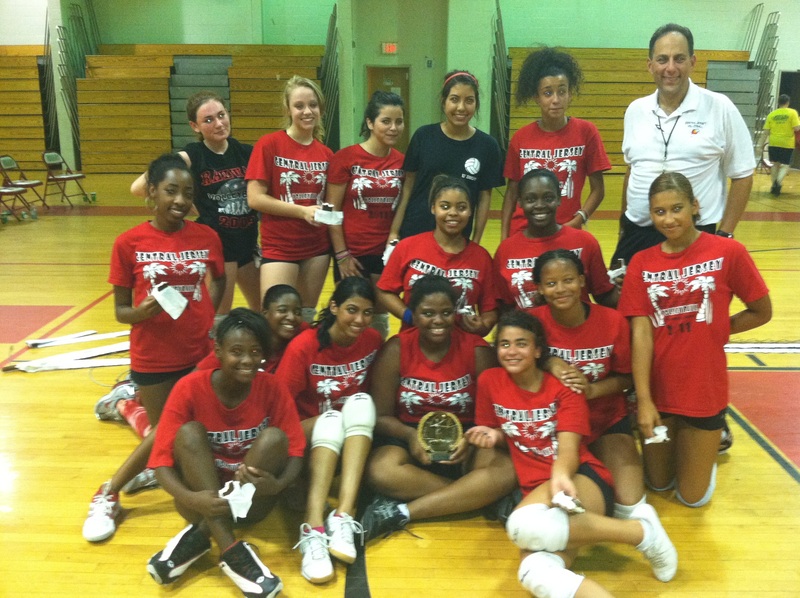 Please bookmark the site and check us out during the Winter and Spring, as well, for more volleyball opportunities!! !